Grand Bahama, Bahamas – Ready, Set, Go! Come November 3rd the sound of the starting pistol will signal another exciting GBPA Conchman Triathlon, which returns to the beautiful Taino Beach on Grand Bahama Island. Since 1986, the event has provided an environment of friendly competition for both residents and visitors while encouraging physical health activity. Over the years, the event which has grown in popularity has attracted some of the world’s preeminent triathletes. None more famous than Hector Picard. 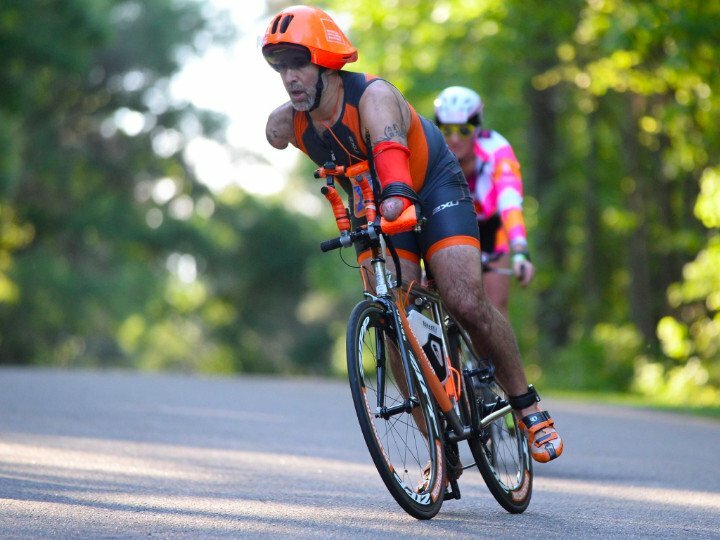 Picard, 52, exemplifies courage and strength in the face of adversity and his story continues to inspire new generations of triathletes. In 1992, Picard, lost his entire right arm and half of his left because of an accident while working as an electrician. More than 13,000 volts of electricity surged through his body twice, leaving him covered with second and third-degree burns over 40 percent of his body however true to his personal motto, he has not stopped living. In fact, the double-arm amputee, has completed more than 160 triathlons, including five Ironman-distance races which has helped him perfect his method. He swims on his back and uses frog-like kicks to propel himself forward. With the use of his specially modified bike – which allows him to use his knees to apply pressure to the brakes while steering with a coupler on his handlebars – he’s cycled from Miami to Spokane, Washington, and from Fort Lauderdale, Florida, to New York City. He’s done an 8-mile, open-ocean swim and now for a third consecutive year he will return to Grand Bahama Island to participate in the Conchman Triathlon. Prior to participating in the Conchman event, Picard will take his message of motivation, courage and strength to inspire the island’s youth to join him at the GBPA Conchman race and push themselves to achieve. “I’m so excited to be back on Grand Bahama Island, not only to promote one of my favorite races, but to inspire the students to believe that anything is possible” said Picard. High school, primary and special needs students will have the chance to hear Hector’s inspiring story, ask questions and take photos with him. Picard’s trip has been sponsored by the GBPA Conchman Triathlon’s newest sponsor, Bahamas Paradise Cruise Lines, who are also offering prizes for winners in both the open and individual categories this year, as well as reduced costs for travel for participants equipment.